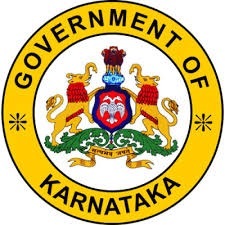 Bangalore Rural District came into being on 15th August 1986 with the division of Bangalore District into Bangalore Rural and Bangalore (Urban). The district occupied 16th place in size. Bangalore Rural District is located in the South-Eastern corner of Karnataka State. Spanning a Geographical area of 5,814 sq km, the district lies stretched between the latitudinal parallels of 12 15’ N and 13 35’ N on the one hand and the longitudinal meridians of 77 05’ E and 78 E on the other. Again Bangalore Rural district has been further bifurcated into Bangalore Rural and Ramnagar District in year 2007. The new district district’s geographical area is 2298 sqkms and population of 9,90,923 as per 2011 Census and the headquarters of the District is at Bangalore itself. The district is on the plateau with an average elevation of 600 to 900 metres from mean Sea level has ranges of Hills which are actually spurs of the Eastern Ghats, Stretching northwards with peaks like the Banantimari Betta, Mudawadi Betta, Bilikal Betta, Siddadevara Betta, etc. The Savandurga and Shivaganga peaks are another row of Hill ranges, spreading upto the Nandi Hills running across the Bangalore(Urban) district. Bangalore Rural District had many prehistoric sites at places like Jadigenahalli (Hosakote Taluk), and Bellandur. The District abounds in wonderful Tourist spots. Places of scenic beauty, tall Hills, forts and beautiful monuments beckon the Tourists to visit them. The new district forms a part of Deccan Plateau and the rock formation belong to the category of peninsular Gneiss. The Granite Gneisses that abound in Nelamangala and Devanahalli Taluks have created captivating Landscapes all along. The Arkavati, the Kanva and the Dakshina Pinakini are the tributary Rivers which flow through the District in the General Direction from North to South.